Watch free, educational online video and learn colors with Mr. Surprise Egg. 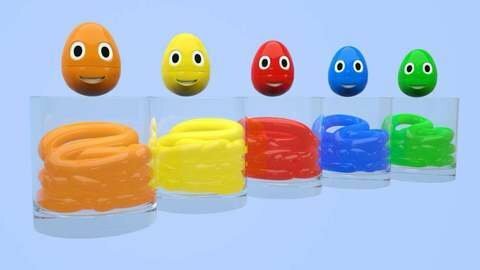 In this online 3D cartoon for toddlers, learn colors and counting. Count the number of drinking glasses and see what colors flow inside. What does Mr. Egg do with all those colors? To find out, visit SeeZisKids.com for more fun and educational videos.